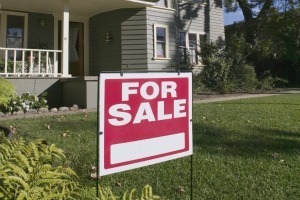 NEW ORLEANS – A new homeowner is suing his residence’s former occupants, their realtor and the realtor’s employer for allegedly misrepresenting the house’s actual condition before and during the act of sale. Karl J. Connor filed suit against Morgan Bruce Feibelman, Elijah Feibelman, TEC Realtors Inc. and Ginger Wiggins in the Orleans Parish Civil District Court on July 15. The suit states that Morgan and Elijah Feibelman decided to sell their former residence at 2218 Napoleon Ave. in New Orleans in the spring of 2013. The Feibelmans hired TEC Realtors Inc. to help market the property, according to the suit. Ginger Wiggins, an employee of TEC, reportedly acted as the Feibelmans' realtor. The plaintiff asserts that he contacted TEC with the interest of purchasing the Feibelmans' residence. Connor and the Feibelmans are alleged to have had productive discussions regarding the plaintiff's acquisition of the property. The petition claims that a few weeks before the closing, Connor's representative discovered a number of previously undisclosed issues with the property, including active dry wood termites, roof and gutter damage and mold contamination. Following the discovery of these concerns, Connor and the Feibelmans purportedly continued to negotiate. The plaintiff claims he articulated that he would not purchase the residence unless the termites, roof and gutter damage, and mold contamination were resolved. The defendants allegedly promised to amend these problems and so Connor went ahead with the purchase. On July 15, 2013 the Feibelmans, Wiggins, and Connor reportedly met to close on the property. Connor alleges that he specifically asked whether the necessary repairs had been made. The Feibelmans and Wiggins reportedly assured Connor that the home's issues had been remedied or were scheduled for resolution. The plaintiff asserts that he purchased the property that day based on the defendants' statements. After moving into the residence, Connor claims he discovered that none of the residence's issues had been properly addressed. The plaintiff noticed termite droppings, which lead to his contacting the extermination company Wiggins and the Feibelmans had claimed to have hired. The company allegedly informed Connor that they never performed work at the property because neither the realtor nor the sellers arrived at the scheduled date and time to provide access to the residence. As a result of this reported negligence, Connor was forced to fumigate the property at a total cost of $13,591 including repairs to the residence following the treatment, says the suit. Connor also claims that Wiggins and the Feibelmans misrepresented the extent of the home's roof damage. The defendants had allegedly provided Connor with a quote from Guaranty Sheet Metal Works Inc. for $2,000 to repair the roof. The plaintiff asserts that he was lead to believe that Guaranty had performed a thorough evaluation, and so he agreed that the Feibelmans should pay for the roof repairs and he would be satisfied with the property. In August 2013, Connor asserts that he noticed the roof was leaking. After contacting Guaranty, Connor allegedly learned that the Feibelmans knew of other areas of the roof in need of repair and that no repairs were ever made to the gutters and the trees were never cut. The plaintiff charges that neither Wiggins nor the Feibelmans informed him of the true extent of the roof's condition, the gutter's condition or the lack of tree maintenance. Connor reports that during negotiations for the property's purchase, he noticed apparent water damage in an area on the living room ceiling. Wiggins allegedly informed Connor that the damage had been caused by a plumbing leak, and that this leak had been repaired. After moving into the residence, Connor asserts that the leak's ongoing condition became obvious. The plaintiff hired a contractor to assess and correct the water damage and sagging ceiling. The contractor allegedly informed Connor that the master bathroom shower was leaking directly into the ceiling of the living room every time someone used the shower. The cost of repairs to Connor's ceiling and shower were reportedly $3,900. The plaintiff charges that Wiggins and the Feibelmans knew or should have known that the leak had not been fixed at the time of sale, and deliberately failed to inform him. The defendant is accused of bad faith and fraud due to inducement and/or misrepresentation. The plaintiff seeks an unknown amount in damages for the costs spent to repair the residence, costs needed to perform outstanding repairs, costs for mental anguish, attorney's fees and interest. The plaintiff is also notes that the undisclosed defects discovered in the residence entitle him to a reduction in the purchase price for all damages for all repairs that were made and need to be made. Karl J. Connor is represented by Evan M. Alvarez of Hammonds, Sills, Adkins & Guice LLP.